The death sentence of Socrates could not be executed until the return of the sacred ship from Delos. One day his friends learned that the ship had returned. They hastened to the prison to lis­ten to the last words of Athens' sage. Echecrates. WERE you yourself, Phædo, in the prison with Socrates on the day when he drank the poison? Phædo. Yes, Echecrates, I was. Phæd. Did you not hear of the proceedings at the trial? Ech. Yes; some one told us about the trial, and we could not understand why, having been condemned, he was put to death, as appeared, not at the time, but long afterwards. What was the reason of this? Phæd. An accident, Echecrates. The reason was that the stern of the ship which the Athenians send to Delos happened to have been crowned on the day before he was tried. Phæd. This is the ship in which, as the Athenians say, Theseus went to Crete when he took with him the fourteen youths, and was the saviour of them and of himself. And they were said to have vowed to Apollo at the time, that if they were saved they would make an annual pilgrimage to Delos. Now this custom still continues, and the whole period of the voyage to and from Delos, beginning when the priest of Apollo crowns the stern of the ship, is a holy season, during which the city is not allowed to be polluted by public executions; and often, when the vessel is detained by adverse winds, there may be a very considerable delay. As I was saying, the ship was crowned on the day before the trial, and this was the reason why Socrates lay in prison and was not put to death until long after he was condemned. Ech. What was the manner of his death, Phædo? What was said or done? And which of his friends had he with him? Or were they not allowed by the authorities to be present? And did he die alone? Phæd. No; there were several of his friends with him. Ech. If you have nothing to do, I wish that you would tell me what passed, as exactly as you can. Phæd. I have nothing to do, and will try to gratify your wish. For to me, too, there is no greater pleasure than to have Socrates brought to my recollection, whether I speak myself or hear another speak of him. Ech. You will have listeners who are of the same mind with you, and I hope that you will be as exact as you can. Phæd. I remember the strange feeling which came over me at being with him. For I could hardly believe that I was present at the death of a friend, and therefore I did not pity him, Echecrates; his mien and his language were so noble and fearless in the hour of death that to me he appeared blessed. I thought that in going to the other world he could not be without a divine call, and that he would be happy, if any man ever was, when he arrived there, and therefore I did not pity him as might seem natural at such a time. But neither could I feel the pleasure which I usually felt in philosophical discourse (for philosophy was the theme of which we spoke). I was pleased, and I was also pained, because I knew that he was soon to die, and this strange mixture of feeling was shared by us all; we were laughing and weeping by turns, especially the excitable Apollodorus—you know the sort of man? Phæd. He was quite overcome; and I myself, and all of us were greatly moved. Phæd. Of native Athenians there were, besides Apollodorus, Critobulus and his father Crito, Hermogenes, Epigenes, Æschines, and Antisthenes; likewise Ctesippus of the deme of Pæania, Menexenus, and some others; but Plato, if I am not mistaken, was ill.
Ech. Were there any strangers? Phæd. Yes, there were; Simmias the Theban, and Cebes, and Phædondes; Euclid and Terpison, who came from Megara. Ech. And was Aristippus there, and Cleombrotus? Phæd. No, they were said to be in Ægina. Phæd. I think that these were about all. Ech. And what was the discourse of which you spoke? Upon this Cebes said: I am very glad indeed, Socrates, that you mentioned the name of Æsop. For that reminds me of a question which has been asked by others, and was asked of me only the day before yesterday by Evenus the poet, and as he will be sure to ask again, you may as well tell me what I should say to him, if you would like him to have an answer. He wanted to know why you who never before wrote a line of poetry, now that you are in prison are putting Æsop into verse, and also composing that hymn in honor of Apollo. Tell him, Cebes, he replied, that I had no idea of rivalling him or his poems; which is the truth, for I knew that I could not do that. But I wanted to see whether I could purge away a scruple which I felt about certain dreams. In the course of my life I have often had intimations in dreams “that I should make music.” The same dream came to me sometimes in one form, and sometimes in another, but always saying the same or nearly the same words: Make and cultivate music, said the dream. And hitherto I had imagined that this was only intended to exhort and encourage me in the study of philosophy, which has always been the pursuit of my life, and is the noblest and best of music. The dream was bidding me to do what I was already doing, in the same way that the competitor in a race is bidden by the spectators to run when he is already running. But I was not certain of this, as the dream might have meant music in the popular sense of the word, and being under sentence of death, and the festival giving me a respite, I thought that I should be safer if I satisfied the scruple, and, in obedience to the dream, composed a few verses before I departed. And first I made a hymn in honor of the god of the festival, and then considering that a poet, if he is really to be a poet or maker, should not only put words together but make stories, and as I have no invention, I took some fables of Æsop, which I had ready at hand and knew, and turned them into verse. Tell Evenus this, and bid him be of good cheer; say that I would have him come after me if he be a wise man, and not tarry; and that to-day I am likely to be going, for the Athenians say that I must. Why, said Socrates. 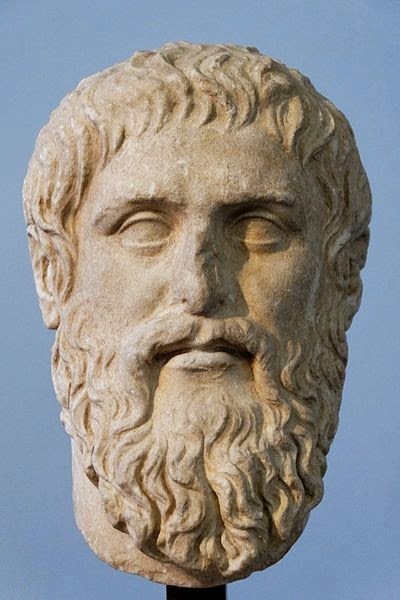 Is not Evenus a philosopher? Then he, or any man who has the spirit of philosophy, will be willing to die, though he will not take his own life, for that is held not to be right. Why do you say, inquired Cebes, that a man ought not to take his own life, but that the philosopher will be ready to follow the dying? Socrates replied: And have you, Cebes and Simmias, who are acquainted with Philolaus, never heard him speak of this? I never understood him, Socrates. My words, too, are only an echo; but I am very willing to say what I have heard: and indeed, as I am going to another place, I ought to be thinking and talking of the nature of the pilgrimage which I am about to make. What can I do better in the interval between this and the setting of the sun? Then tell me, Socrates, why is suicide held not to be right? as I have certainly heard Philolaus affirm when he was staying with us at Thebes: and there are others who say the same, although none of them has ever made me understand him. But do your best, replied Socrates, and the day may come when you will understand. I suppose that you wonder why, as most things which are evil may be accidentally good, this is to be the only exception (for may not death, too, be better than life in some cases? ), and why, when a man is better dead, he is not permitted to be his own benefactor, but must wait for the hand of another. By Jupiter! yes, indeed, said Cebes, laughing, and speaking in his native Doric. I admit the appearance of inconsistency, replied Socrates, but there may not be any real inconsistency after all in this. There is a doctrine uttered in secret that man is a prisoner who has no right to open the door of his prison and run away; this is a great mystery which I do not quite understand. Yet I, too, believe that the gods are our guardians, and that we are a possession of theirs. Do you not agree? Yes, I agree to that, said Cebes. Then there may be reason in saying that a man should wait, and not take his own life until God summons him, as he is now summoning me. Yes, Socrates, said Cebes, there is surely reason in that. And yet how can you reconcile this seemingly true belief that God is our guardian and we his possessions, with that willingness to die which we were attributing to the philosopher? That the wisest of men should be willing to leave this service in which they are ruled by the gods who are the best of rulers is not reasonable, for surely no wise man thinks that when set at liberty he can take better care of himself than the gods take of him. A fool may perhaps think this—he may argue that he had better run away from his master, not considering that his duty is to remain to the end, and not to run away from the good, and that there is no sense in his running away. But the wise man will want to be ever with him who is better than himself. Now this, Socrates, is the reverse of what was just now said; for upon this view the wise man should sorrow and the fool rejoice at passing out of life. The earnestness of Cebes seemed to please Socrates. Here, said he, turning to us, is a man who is always inquiring, and is not to be convinced all in a moment, nor by every argument. And in this case, added Simmias, his objection does appear to me to have some force. For what can be the meaning of a truly wise man wanting to fly away and lightly leave a master who is better than himself? And I rather imagine that Cebes is referring to you; he thinks that you are too ready to leave us, and too ready to leave the gods who, as you acknowledge, are our good rulers. Yes, replied Socrates; there is reason in that. And this indictment you think that I ought to answer as if I were in court? That is what we should like, said Simmias. Then I must try to make a better impression upon you than I did when defending myself before the judges. For I am quite ready to acknowledge, Simmias and Cebes, that I ought to be grieved at death, if I were not persuaded that I am going to other gods who are wise and good (of this I am as certain as I can be of anything of the sort) and to men departed (though I am not so certain of this), who are better than those whom I leave behind; and therefore I do not grieve as I might have done, for I have good hope that there is yet something remaining for the dead, and, as has been said of old, some far better thing for the good than for the evil. But do you mean to take away your thoughts with you, Socrates? said Simmias. Will you not communicate them to us?—the benefit is one in which we too may hope to share. Moreover, if you succeed in convincing us, that will be an answer to the charge against yourself. I will do my best, replied Socrates. But you must first let me hear what Crito wants; he was going to say something to me. Only this, Socrates, replied Crito: the attendant who is to give you the poison has been telling me that you are not to talk much, and he wants me to let you know this; for that by talking heat is increased, and this interferes with the action of the poison; those who excite themselves are sometimes obliged to drink the poison two or three times. Then, said Socrates, let him mind his business and be prepared to give the poison two or three times, if necessary; that is all. I was almost certain that you would say that, replied Crito; but I was obliged to satisfy him. And now I will make answer to you, O my judges, and show that he who has lived as a true philosopher has reason to be of good cheer when he is about to die, and that after death he may hope to receive the greatest good in the other world. And how this may be, Simmias and Cebes, I will endeavor to explain. For I deem that the true disciple of philosophy is likely to be misunderstood by other men; they do not perceive that he is ever pursuing death and dying; and if this is true, why, having had the desire of death all his life long, should he repine at the arrival of that which he has been always pursuing and desiring? Simmias laughed and said: Though not in a laughing humor I swear that I cannot help laughing when I think what the wicked world will say when they hear this. They will say that this is very true, and our people at home will agree with them in saying that the life which philosophers desire is truly death, and that they have found them out to be deserving of the death which they desire. And they are right, Simmias, in saying this, with the exception of the words “They have found them out”; for they have not found out what is the nature of this death which the true philosopher desires, or how he deserves or desires death. But let us leave them and have a word with ourselves: Do we believe that there is such a thing as death? And is this anything but the separation of soul and body? And being dead is the attainment of this separation when the soul exists in herself, and is parted from the body and the body is parted from the soul—that is death? Exactly: that and nothing else, he replied. And what do you say of another question, my friend, about which I should like to have your opinion, and the answer to which will probably throw light on our present inquiry: Do you think that the philosopher ought to care about the pleasures—if they are to be called pleasures—of eating and drinking? And what do you say of the pleasures of love—should he care about them? And will he think much of the other ways of indulging the body—for example, the acquisition of costly raiment, or sandals, or other adornments of the body? Instead of caring about them, does he not rather despise anything more than nature needs? What do you say? I should say the true philosopher would despise them. Would you not say that he is entirely concerned with the soul and not with the body? He would like, as far as he can, to be quit of the body and turn to the soul. In matters of this sort philosophers, above all other men, may be observed in every sort of way to dissever the soul from the body. Whereas, Simmias, the rest of the world are of opinion that a life which has no bodily pleasures and no part in them is not worth having; but that he who thinks nothing of bodily pleasures is almost as though he were dead. What again shall we say of the actual requirement of knowledge?—is the body, if invited to share in the inquiry, a hinderer or a helper? I mean to say, have sight and hearing any truth in them? Are they not, as the poets are always telling us, inaccurate witnesses? and yet, if even they are inaccurate and indistinct, what is to be said of the other senses?—for you will allow that they are the best of them? Then must not existence be revealed to her in thought, if at all? And thought is best when the mind is gathered into herself and none of these things trouble her—neither sounds nor sights nor pain nor any pleasure—when she has as little as possible to do with the body, and has no bodily sense or feeling, but is aspiring after being? And in this the philosopher dishonors the body; his soul runs away from the body and desires to be alone and by herself? Or did you ever reach them with any other bodily sense? (and I speak not of these alone, but of absolute greatness, and health and strength, and of the essence or true nature of everything). Has the reality of them ever been perceived by you through the bodily organs? or rather, is not the nearest approach to the knowledge of their several natures made by him who so orders his intellectual vision as to have the most exact conception of the essence of that which he considers? And he attains to the knowledge of them in their highest purity who goes to each of them with the mind alone, not allowing when in the act of thought the intrusion or introduction of sight or any other sense in the company of reason, but with the very light of the mind in her clearness penetrates into the very light of truth in each; he has got rid, as far as he can, of eyes and ears and of the whole body, which he conceives of only as a disturbing element, hindering the soul from the acquisition of knowledge when in company with her—is not this the sort of man who, if ever man did, is likely to attain the knowledge of existence? There is admirable truth in that, Socrates, replied Simmias. And when they consider all this, must not true philosophers make a reflection, of which they will speak to one another in such words as these: We have found, they will say, a path of speculation which seems to bring us and the argument to the conclusion that while we are in the body, and while the soul is mingled with this mass of evil, our desire will not be satisfied, and our desire is of the truth. For the body is a source of endless trouble to us by reason of the mere requirement of food; and also is liable to diseases which overtake and impede us in the search after truth: and by filling us so full of loves, and lusts, and fears, and fancies, and idols, and every sort of folly, prevents our ever having, as people say, so much as a thought. For whence come wars, and fightings, and factions? whence but from the body and the lusts of the body? For wars are occasioned by the love of money, and money has to be acquired for the sake and in the service of the body; and in consequence of all these things the time which ought to be given to philosophy is lost. Moreover, if there is time and an inclination toward philosophy, yet the body introduces a turmoil and confusion and fear into the course of speculation, and hinders us from seeing the truth: and all experience shows that if we would have pure knowledge of anything we must be quit of the body, and the soul in herself must behold all things in themselves: then I suppose that we shall attain that which we desire, and of which we say that we are lovers, and that is wisdom, not while we live, but after death, as the argument shows; for if while in company with the body the soul cannot have pure knowledge, one of two things seems to follow—either knowledge is not to be attained at all, or, if at all, after death. For then, and not till then, the soul will be in herself alone and without the body. In this present life, I reckon that we make the nearest approach to knowledge when we have the least possible concern or interest in the body, and are not saturated with the bodily nature, but remain pure until the hour when God himself is pleased to release us. And then the foolishness of the body will be cleared away and we shall be pure and hold converse with other pure souls, and know of ourselves the clear light everywhere; and this is surely the light of truth. For no impure thing is allowed to approach the pure. These are the sort of words, Simmias, which the true lovers of wisdom cannot help saying to one another, and thinking. You will agree with me in that? But if this is true, O my friend, then there is great hope that, going whither I go, I shall there be satisfied with that which has been the chief concern of you and me in our past lives. And now that the hour of departure is appointed to me, this is the hope with which I depart, and not I only, but every man who believes that he has his mind purified.